I am Comet Caldwell.And I sort of, kind of, absolutely hate my name.People expect extraordinary things from a girl named Comet. That she'll be effortlessly cool and light up a room the way a comet blazes across the sky.But from the shyness that makes her book-character friends more appealing than real people to the parents whose indifference hurts more than an open wound, Comet has never wanted to be the center of attention. She can't wait to graduate from her high school in Edinburgh, Scotland, where the only place she ever feels truly herself is on her anonymous poetry blog. But surely that will change once she leaves to attend university somewhere far, far away.When new student Tobias King blazes in from America and shakes up the school, Comet thinks she's got the bad boy figured out. Until they're thrown together for a class assignment and begin to form an unlikely connection. Everything shifts in Comet's ordinary world. Tobias has a dark past and runs with a tough crowd--and none of them are happy about his interest in Comet. 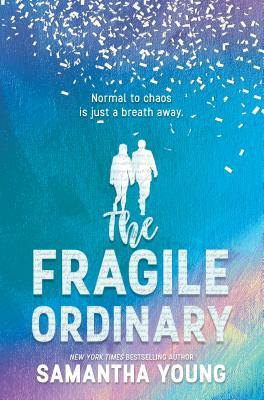 Targeted by bullies and thrown into the spotlight, Comet and Tobias can go their separate ways...or take a risk on something extraordinary.From the New York Times bestselling author of The Impossible Vastness of Us and the On Dublin Street series comes a heartfelt and beautiful new young adult novel, set in Scotland, about daring to dream and embracing who you are.